Almost gave away a box full of quilting scraps ;0( but just could not part with the fabric. 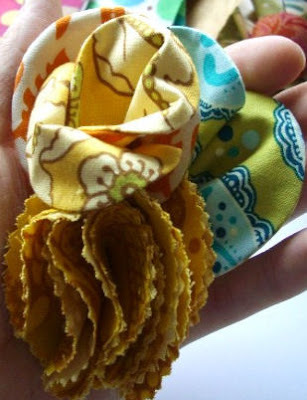 What a creative way in which to use all those fat quarters I had stashed away! And with all the snow coming our way, I'll have plenty of time to not only complete several knitting orders but also create a bouquet of flowers.